Vuno said Monday that it has agreed with Hyewon Foundation, which runs Sejong Hospital, to develop an electrocardiogram (ECG)-based cardiovascular disease prediction and diagnosis technology. 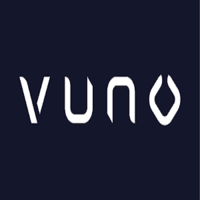 Vuno is a leader in the development of artificial intelligence (AI) medical solutions and is turning out various solutions for imaging, as well as prognostic analysis based on biological signals. The company has become the first company in Korea to receive approval from the Ministry of Food and Drug Safety for an AI diagnostic device. With the help of Sejong Hospital, Vuno developed an AI cardiac arrest prediction and the emergency patient classification system in 2018 and published the papers in international journals. Cardiovascular disease is a severe ailment that can cause death such as heart failure, myocardial infarction, and arrhythmia. The two institutions will develop a cardiovascular disease prediction and AI software-based on the clinical data and Sejong Hospital’s electronic medical records. “The company expects to come up with a solution that can diagnose cardiovascular disease directly related to life and greatly contribute to the promotion of public health by combining the data of the best cardiology hospital in Korea and our bio-signal analysis and AI technology,” Vuno CEO Lee Ye-ha said.